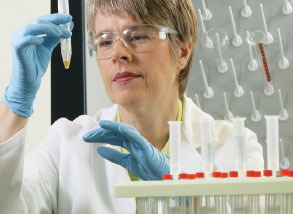 We offer cell culture dishes in wide selections of format, material, and surface modification. Each is designed and produced with highest quality standards to promote healthy cells and reproducible results. Thermo Scientific™ Nunc™ EasYDish™ Dishes are the next generation of cell culture dishes that improve handling, stacking and transporting of cell cultures in your lab. The beveled grip ring is easy to hold and stays secure in your gloved hand. The dishes receive the standard Nunclon Delta surface treatment to maximize adhesion for majority of cell types. Available in four sizes: 35 mm, 60 mm, 100 mm and 150 mm. With wide selections in size and style, Thermo Scientific™ Nunc™ cell culture dishes suit a multitude of experimental needs in your cell culture routine. Perform a variety of applications in dishes with the Nunclon™ Delta surface treatment that promotes maximum adhesion for a broad range of cell types. Nunclon Delta surface modification makes the polystyrene surface more hydrophilic, thus facilitating maximum adhesion for a broad range of cell type. Choose from 4, 6, 8, 12, 24 or 48 well. Perform high quality imaging using Thermo Scientific Nunc glass bottom dishes, which combines the convenience of a standard 35 mm dish with the imaging benefits of coverglass to provide the optimum optical image analysis. The interior of the surface of the dish bottom, including the glass area is cell culture treated. Large growth area and gripping ring for secure handling. Stacking ring on the lid and corresponding ridge on the base provide an extremely secure stacking feature. Vents provide airflow between stacked dishes for consistent growth conditions and prevention of condensation.